Definition at line 38 of file llpanelaudiovolume.h. Definition at line 51 of file llpanelaudiovolume.cpp. 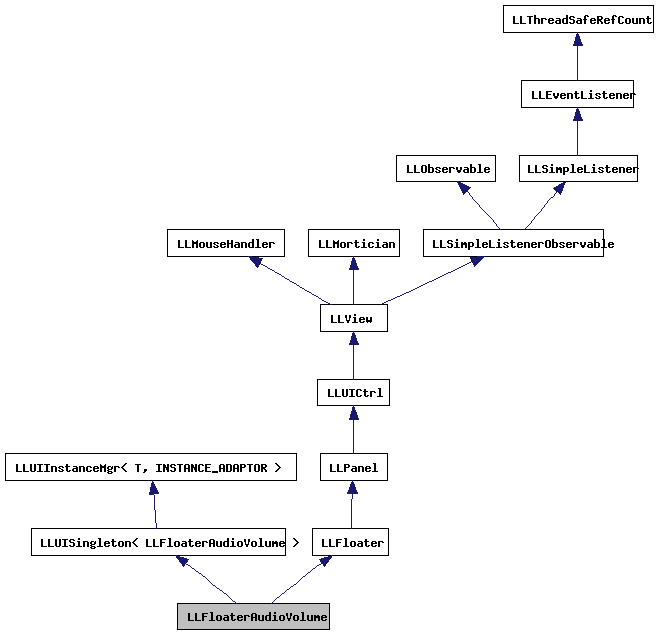 References LLFloaterView::adjustToFitScreen(), LLUICtrlFactory::buildFloater(), createVolumePanel(), FALSE, LLPanel::getChildByName(), LLPanel::getFactoryMap(), LLView::getRect(), gFloaterView, gOverlayBar, gUICtrlFactory, LLRectBase< Type >::mBottom, LLPanel::mFactoryMap, LLRectBase< Type >::mLeft, LLView::mRect, LLRectBase< Type >::mTop, NULL, S32, and LLView::setOrigin(). Definition at line 45 of file llpanelaudiovolume.cpp. Definition at line 42 of file llpanelaudiovolume.h.